Posted on November 9, 2018 by Matthew Leib. This entry was posted in Faculty Friday, Spotlight and tagged Faculty Friday, Spotlight. Bookmark the permalink. Step into Steve Herbert’s office in Smith Hall at the University of Washington and it’s the art that immediately catches your eye. 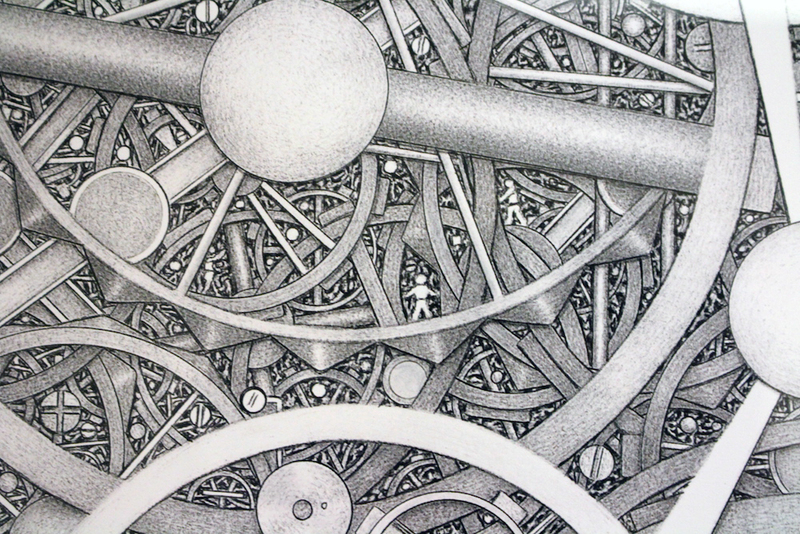 On a back wall above his desk hang two large pen-and-ink drawings of labyrinthine detail, imbued with a spinning sense of motion through thousands of short hatch marks made by a ballpoint pen. The effect of perpetual motion frozen in a moment recalls the work of Piranesi, an 18th-century Italian artist famous for a series of sixteen prints depicting soaring subterranean vaults crammed with cables, causeways, and catapults that foist upon the viewer a sense of awe slashed with inescapable dread. Piranesi styled the drawings Carceri d’invenzione, or “Imaginary Prisons.” They were the product of a versatile and resourceful designer exploring the boundlessness of his creative imagination. 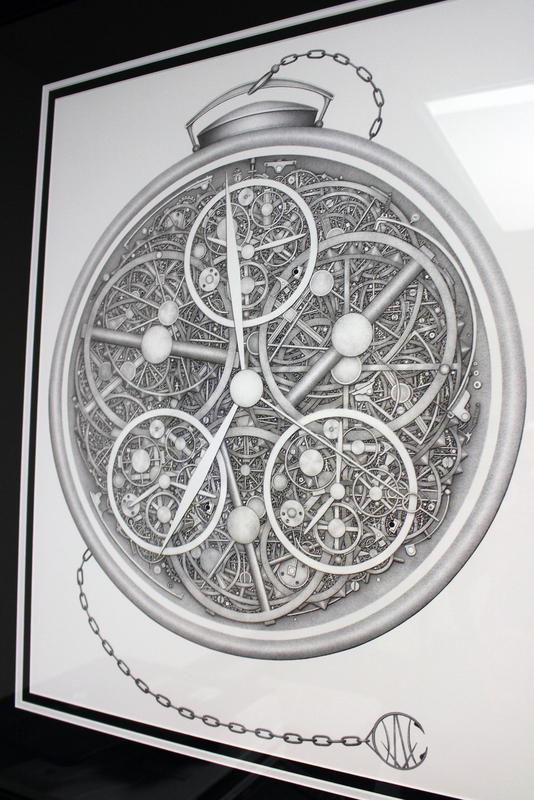 The drawings in Herbert’s office, by contrast, are the product of an incarcerated hand, produced by a man serving a life sentence in prison without the possibility of parole. 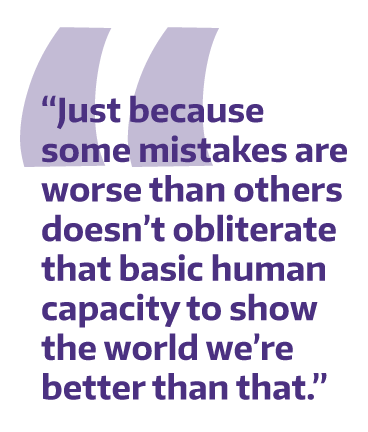 It’s one case in which the walls really do talk, speaking directly to Herbert’s work as Mark Torrance Professor and Department Chair of Law, Societies, and Justice at the University of Washington. As qualitative as it is quantitative, Too Easy to Keep spotlights the harsh consequences of excessive sentences, underscoring what Herbert views as a need to reconsider punishment policy. The United States criminal justice system currently houses the largest prison population in the world per capita with more than 2.3 million behind bars—more than 200,000 of whom are sentenced for life. Four times as many people are incarcerated today than in the late 1970s when interest in rehabilitative incarceration waned in favor of stricter sentencing. For example, Hoyt Crace, the artist who created the works in Herbert’s office, was sentenced as part of the three-strike law in Washington—the first state to adopt one. 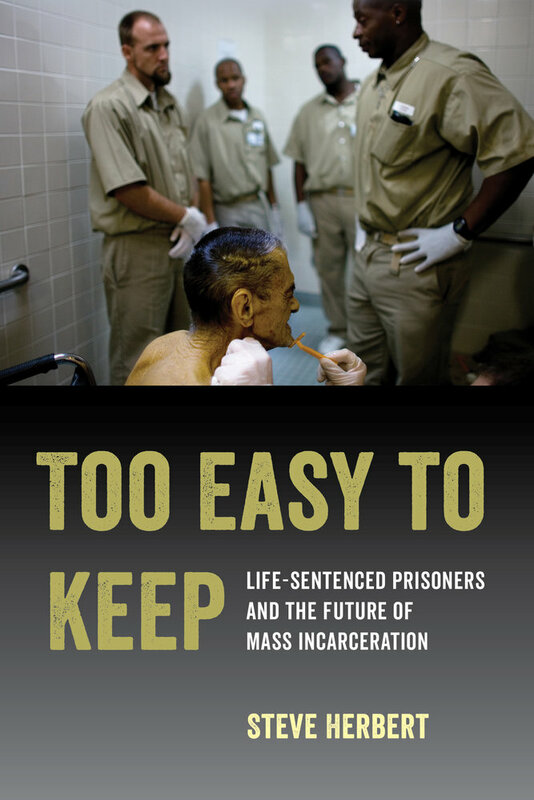 “My goal with this book is to let these prisoners tell their stories and make clear that their desire for redemption is real,” Herbert says, acknowledging that not every prisoner is genuinely remorseful, but contending via evidence he’s collected that a significant number demonstrate an “ability to craft lives of notable purpose” and willingness to understand themselves in new ways. “If you do challenge the idea and say incarcerated people are fundamentally redeemable and you recognize the fact that many of them do want to change, then it seems to me, we owe it to them to create the opportunities to do so,” Herbert says. 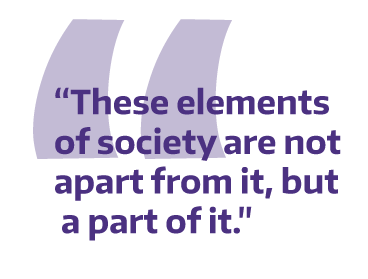 One way in which Herbert explores an alternative approach is through a partnership with University Behind Bars (UBB), which provides college preparatory and college-level instruction for inmates at the Washington State Reformatory in Monroe. Several years ago, he devised a “mixed-enrollment” class, which brought together a group of Law, Societies, and Justice students to learn alongside inmates at the Monroe Reformatory. After the first quarter, Herbert concluded it was “far more successful” than he had allowed himself to imagine. It’s why Herbert sees the UBB class experience as so powerful: students have to ask themselves, where did my stereotype come from and hopefully they’ll ask that of any other stereotype they might have and confront that. Herbert also learned that those UBB students he so admired were, by and large, serving long or life sentences. Herbert’s hope for the class—and for his book—is that it will continue to stimulate public conversation “about the consequences for all of us” of maintaining a growing, aging population of lifetime prisoners. It’s a conversation he’ll carry to the wider community at a Seattle Town Hall event on December 11. “The toughest issue is the struggle that we all face, I think, in recognizing that even people who commit very horrific acts remain redeemable,” he says. “What we try to do is not only equip students with the conceptual apparatus to understand the world, but we also get them out into the world to witness the dynamics they’re reading about and engage in the hard work of trying to make sense of what they’re seeing,” Herbert says. This past summer, he led a two-part course in comparative criminal justice. After an immersive two weeks studying the U.S. criminal justice system with visits to courts, police stations, and correctional facilities around the Puget Sound region, Herbert and 15 students decamped to University of Cape Town in South Africa for similar excursions. To be able to draw upon those direct experiences, students are able to understand that nothing in criminal justice happens in a vacuum, Herbert says. Herbert was initially drawn to study geography for those distinctly interdisciplinary qualities. As an undergraduate at Macalester College, Herbert took Urban Geography as a means of exploring his new urban setting in St. Paul, Minnesota, having grown up in Lawrence, Kansas. The class’s main assignment was a field project. “Our professor sent us out into the Twin Cities with questions and places he wanted us to go,” Herbert recalls. “As we moved through the cities, the questions became fewer as he was teaching us to develop our own capacities to ask questions about this landscape.” He loved the experience. 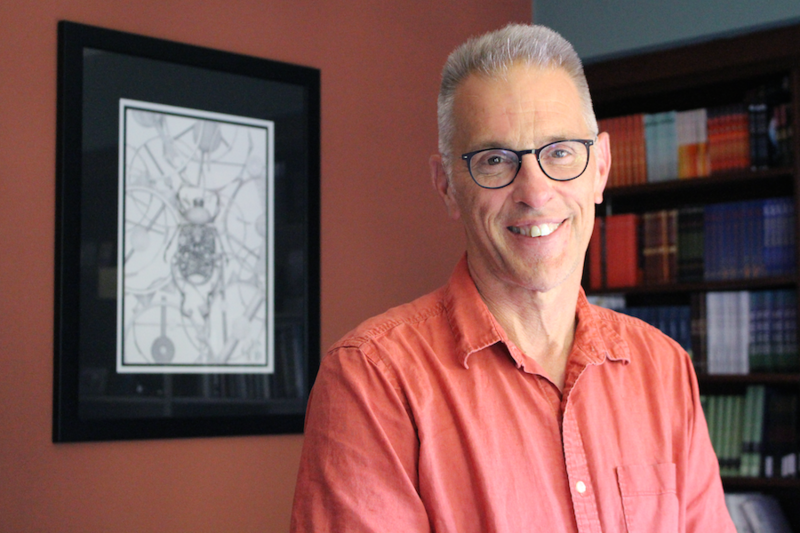 While at Macalaster, he studied for and received his secondary school teaching certificate, which presaged two stints teaching middle school—first in Minnesota and later in Los Angeles, where he decided to pursue a Ph.D. at UCLA. 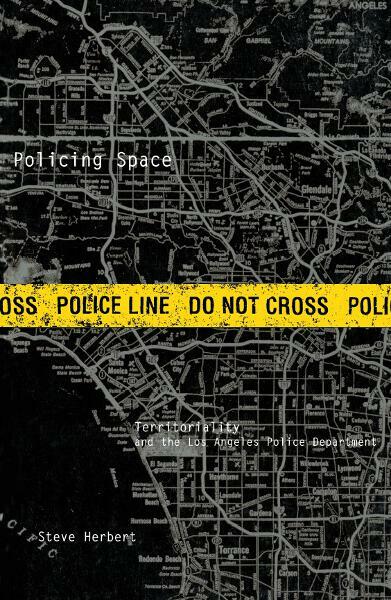 A firsthand account of how the Los Angeles Police Department attempts to control a vast, heterogeneous territory, “Policing Space” offers a ground-level look at the relationship between the control of space and the exercise of power. In 1993, he started doing ride-alongs with a patrol division in the LAPD, accompanying them for hours at a time equipped with little more than notebook and his capacity to observe and ask questions. “At first, many of the officers were suspicious of me, but once they began to trust me and that I was genuinely trying to understand the role from their perspective, then they opened up,” he says. Over the course of eight months, Herbert rode along for everything from noise complaints to gun violence. His self-imposed rule was that, within 24 hours of any ride-along, he would sit down and type up extensive field notes while his memory was still fresh. The result was his first book, Policing Space. “I was trying to understand the world from the police officer’s eyes, outward,” Herbert says, adding that he was all too aware their view was just one side of a many-faceted story. That’s why his second major project—and his first at the UW—dealt with community policing and what community meant to both police and neighborhood residents in West Seattle—and what aided or impeded close working relationships between both groups. He’d come to UW after four years at Indiana University with his wife, fellow academic and researcher Katherine Beckett. Together, they co-authored 2009’s Banished: The New Social Control in Urban America, which directly challenged the “broken windows theory” of zero tolerance policing tactics. Her office is just down the hall. Now in his ninth year as director of Law, Societies, and Justice, Herbert says one of the most rewarding moments each year is the last day of the UBB class, during which the last hour is set aside for a group conversation and reflection. “It’s remarkable how tender those conversations are after the students have only been in class together for ten weeks,” he says. For Herbert, it sends a powerful, hopeful message about a fundamental human desire to want to be the best possible person. That capacity is clear to Herbert every time he looks at the crisply defined lines of the drawings by Hoyt Crace that line his office walls—each the product of some 500 hours’ work. Some time later, the incarcerated inmate-turned-artist had his three-strike life sentence overturned by U.S. Ninth Circuit Court of Appeals on the grounds that he was over-charged on his third strike felony offense. Shortly after his release from prison, he met with Herbert and brought along some of the drawings he’d made in prison. Herbert purchased three. Steve Herbert is Mark Torrance Professor and Department Chair of Law, Societies, and Justice at the University of Washington. He has served as Director of the LSJ Program since 2010. He is the author of Policing Space: Territoriality and the Los Angeles Police Department; Citizens, Cops, and Power: Recognizing the Limits of Community; and, with Katherine Beckett, Banished: The New Social Control in Urban America. He holds a Ph.D. in Geography from University of California, Los Angeles, an M.A. in Geography from University of Minnesota, and a B.A. in Social Sciences from Macalester College.